Do you want to hold the green like a pro? Do you want to generate spin like a pro? Do you want explosive distance off the driver? Then the Taylormade Project A is for you. Tayormade Project A golf balls have taken the game by storm and are currently the third most popular golf ball in Australia. 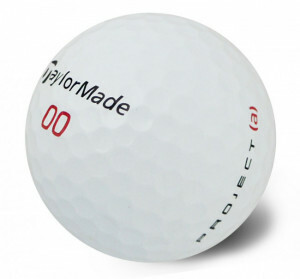 These balls are tested and generate more spin and greenside control than most of their competitors. They offer explosive distance off the drive, combine this with the huge amount of spin on offer and the balls offer the amateur golfer the chance to play like a pro. The outer layer of the ball is constructed of cast urethane (same material used in tour balls such as Pro V1, Tour Preferred etc) which provides the greenside spin. The core is a new design by Taylormade which provides the massive distance off the drive. The result, a ball for all amateurs looking to gain increase distance and extra control. All of the Tayormade Project A golf balls available on this site have been hand graded twice for guaranteed quality. Although they did not actually have the balls I ordered they did make every effort to compensate me. fast service, great descriptions of products on the website, huge range. The condition of the golf balls were first class. Delivery time was exceptional. I will be buying my golfs from you again! The product is great and service is very quick, however there needs to be a delivery instructions area on every order form, or delivery instruction set against you as a customer in their system. I have had to chase the delivery company each time I have ordered, it has been the only displeasure about... Read More. The product is great and service is very quick, however there needs to be a delivery instructions area on every order form, or delivery instruction set against you as a customer in their system. I have had to chase the delivery company each time I have ordered, it has been the only displeasure about the experience. Great price and prompt delivery.....excellent combination. Service very timely, balls of good condition.